Barack Obama’s decision to send limited troops into Syria has shown the predictable divisions in the Democratic field. 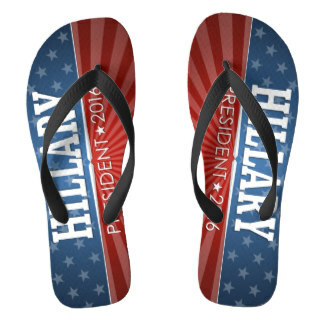 Bernie Sanders and Martin O’Malley have expressed strong reservations, while Hillary Clinton has taken only seventeen days to flip flop on her position regarding troops on the ground. The independent senator from Vermont “believes that the crisis in Syria will be solved diplomatically, not militarily,” Sanders spokesman Michael Briggs said in a statement. Sanders, who is seeking the Democratic nomination for the White House, was asked about the issue later Friday by an audience member at a town hall in Derry. He said that he agrees with Obama’s overall objective to provide support to groups and countries battling the Islamic State in the region. Stars and Stripes also note his “concern about the United States being drawn into the quagmire of the Syrian civil war which could lead to perpetual warfare in that region. ISIS must be stopped, and the U.S. should support the coalition to defeat the Syria-based Islamic militant group, former Maryland governor Martin O’Malley said Friday. But the Democratic presidential candidate hesitated to support a move that would place U.S. troops on the ground, pointing to past examples of U.S. interference in Middle Eastern affairs. O’Malley’s comments came hours after the White House announced that Democratic President Barack Obama had authorized the deployment of fewer than 50 special operations U.S. troops in the Kurdish-controlled region of Syria. If elected, O’Malley said he’d like to find ways to cut off ISIS’ finances and stop its propaganda. Clinton’s quick reversal on this issue reinforces the view that her more progressive statements while campaigning for the Democratic nomination provide no guarantee that she will not return to her more conservative views if elected. Sen. Rand Paul said Saturday he is not ready to “send our sons and daughters back to a war in Iraq,” but is “not completely for doing nothing” to fight the Islamic State. The Kentucky senator spoke to members of the Jasper County Farm Bureau in Newton before taking a tour of a pipeline farm in Reasnor. Paul touched on a variety of rural issues in front of the small group, but was firm on his stance on Syria following the news that the Obama administration will send 50 special operations soldiers to consult with rebel groups fighting ISIS. Paul said while the radical group needs to be fought, it should not be by the United States military. He said he “would help the Kurds fight” but is against putting troops in Syria because the first Iraq War was bad for foreign relations and the national debt. The New Jersey governor and Republican presidential candidate addressed the issue during a town hall in response to news that the Obama administration approved up to 50 special operations soldiers to enter Syria and work as military advisers with rebel groups fighting the group known as ISIS. “For me, this is too little. too late from the president, and if you’re going to involve American troops, you’d better go whole hog,” he said. The U.S. should deploy boots on the ground only if the strategy of arming U.S. allies in the region fails to defeat ISIS, Christie added. “I think we have to keep American troops as an option on the table, but to me it is a later option, not a first option, and the president should have been doing all these other things first,” he said. Quick tip for Chris Christie: Think twice before using terms like “whole hog” as the listener might conjure up a different image when you say this than you desire. Update: Donald Trump expressed opposition to Obama’s plan, but he hardly expressed an anti-war viewpoint. He opposed limiting to fifty people, telling CNN, “You either do it or you don’t do it. Fifty people. He puts 50 people.” Trump also supports returning ground troops to Iraq.